Photonics PPP call topics for Horizon 2020 Work Programme 2018-2020 determined! 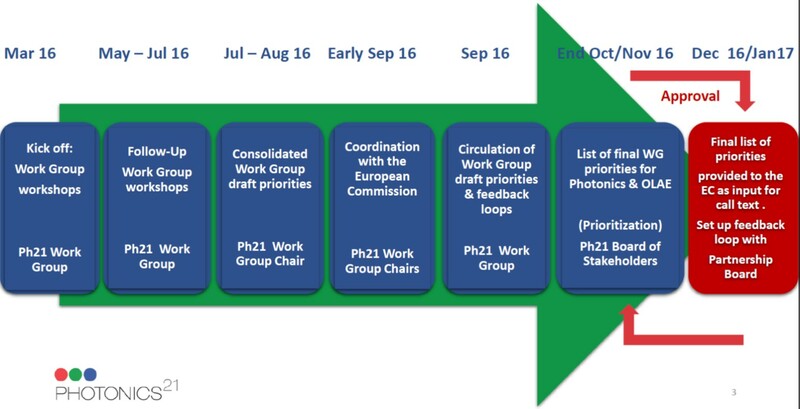 The Photonics PPP call topics for the work programme 2018-2020 have been determined and publicized recently! These call topics have been discussed during the year 2016 within Photonics21’s work groups, prioritized by the PPP’s Board of Stakeholders in November last year and further developed by the executive board of the PPP and the European Commission and finally submitted to a last check during the Photonics PPP Annual Meeting in March. By Pierre-Yves Fonjallaz|2017-04-19T15:11:26+00:00april 19th, 2017|EU funding, EU projects, Okategoriserade|Kommentarer inaktiverade för Photonics PPP call topics for Horizon 2020 Work Programme 2018-2020 determined!